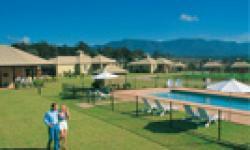 Oaks Pokolbin Hill Chateau Resort is situated at the heart of Pokolbin Wine Country in the Hunter Valley of New South Wales, Australia. 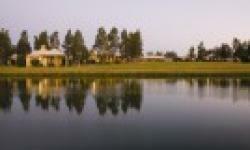 Surrounded by wineries and fabulous award winning restaurants of Hunter Valley, Oaks Pokolbin Hill Chateau Resort is built on 25 acres of seductive tranquillity. The luxuriously appointed studio, one and two bedroom villas, with a spa bath in each bathroom, blend superbly with the ambience of the surrounding vineyards. Seasons Restaurant is open for breakfast from 6:30am to 10:30am every Saturday and Sunday morning. The restaurant opens for dinner every Friday and Saturday evening from 6pm. 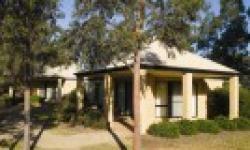 Facilities at Oaks Pokolbin Hill Chateau Resort include superb location overlooking Brockenback Range, heated swimming pool, BBQ area, tennis court, short walking distance to vineyards, tour booking desk and guest laundry.